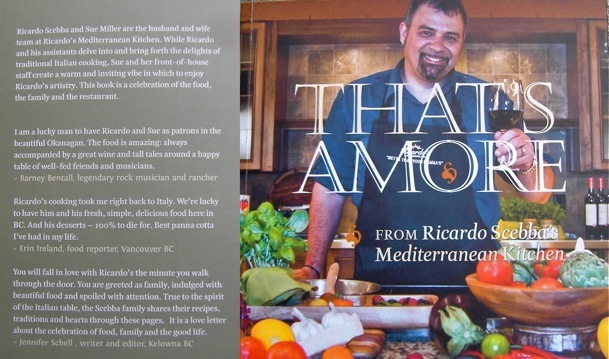 Ricardo’s Mediterranean Kitchen is proud to announce the launch of its first ever cookbook, That’s Amore, from Chef Ricardo Scebba — one of my very favorite Okanagan chefs. Written by Ricardo himself, with recipes and anecdotes from his culinary mentor and mother Concetta, the book is a collection of treasured Italian recipes passed down over three generations, delicious personal interpretations of traditional favourites, and many popular menu items from the award-winning restaurant. Ricardo will be hosting multiple cooking demonstrating in Vancouver and the Lower Mainland from January 17 until January 20. Scroll down for full event details. You can also catch Chef Ricardo Scebba on Breakfast TV (Monday, January 16) and CTV Noon News (Tuesday, January 17). This past summer, I was lucky to enjoy an amazing five-course meal by Ricardo. 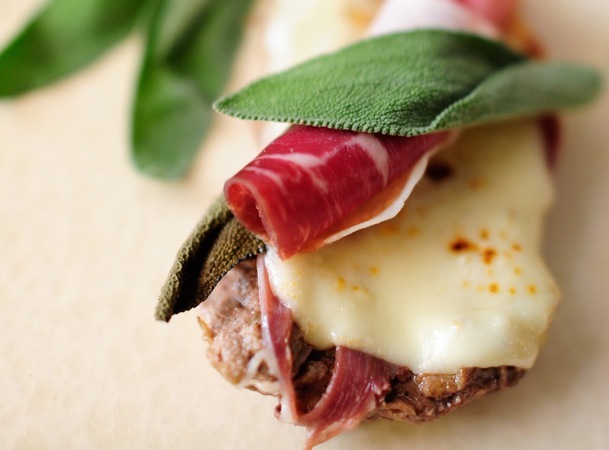 Read about it here and follow Ricardo’s Mediterranean Kitchen on Twitter here. The cookbook, published by the Okanagan Institute, is now available at Ricardo’s Mediterranean Kitchen and online at www.ricardos.ca and retails for $24.95 CAD. It is also available at all Chapter’s Indigo stores or www.chapters.indigo.ca.